I want to take a moment to thank our wonderful host Sarah of Sarah Celebrates. Sarah has been so supportive and helpful this week whilst I took time away from blogging to say goodbye to my beautiful old girl Sacha. Sarah picked up the slack when I dropped the ball, I am so lucky to have such a great blogging buddy. I also want to thank all of you for your heartfelt and thoughtful comments, I cannot express how much I value them. Tip of the week - answers revealed. Last week we defined image name and image title. The image caption is the text under your image that is visible to readers. It can be anything your heart desires. Common things you may see are image credits (if people aren't using their own images), descriptions of what's going on in the picture or witty one-liners. Want a reminder for the party? 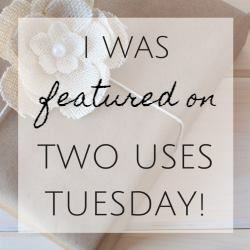 Click here to Subscribe to the Two Uses Tuesday Reminder email. 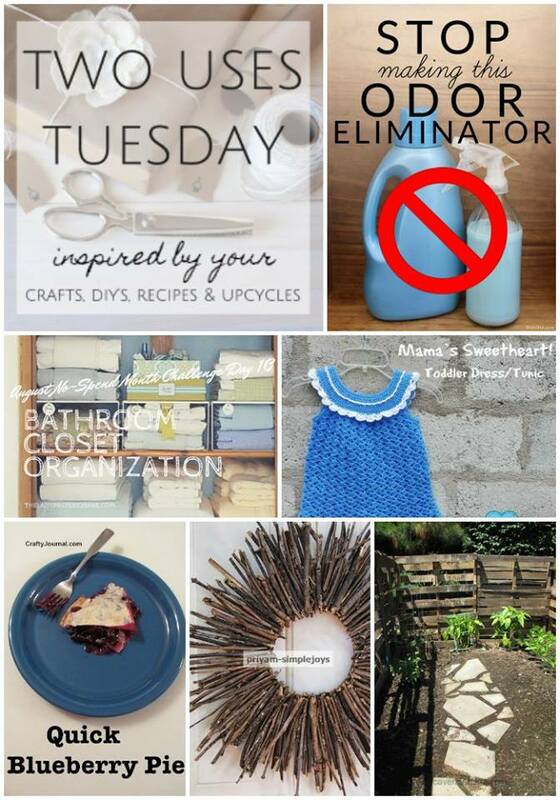 Disclosures: By submitting a link to the Two Uses Tuesday Link Up you are giving the party hosts permission to feature your link on our blogs, across social media and future round up posts. This includes images from the linked post as well as linking to your social media accounts. Sarah Celebrates and all Two Uses Tuesday co-hosts respect you and your work; everything will be properly linked back to you and credit given where credit is due. You earned it! 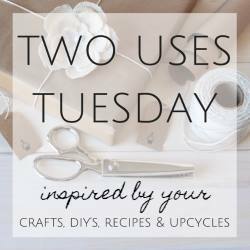 You will also be added to the Two Uses Tuesday Reminder email list if you have not subscribed to it already. If you have submitted a link in the past, you are already on the list. we love you and totally understand Stella! many hugs your way! Thank you for the party. That little dress you featured is so sweet! Stella, thannks for hosting a great link party!! I missed the post about poor Sacha. So sorry for your loss!